CSA decisions, that is. Community Supported Agriculture. Something I believe in and preach to all who will listen. There are so many excellent choices for fresh produce here in Howard County. Finding the best fit, and using it wisely, is the challenge. We first joined a CSA, with Sandy Spring, when they offered pick up where we volunteered. They used an Amish cooperative. We loved them. Organic. Veggies mostly. Reasonably priced. Convenient. They didn’t get enough people to continue beyond the first year. We switched to a Columbia pickup. 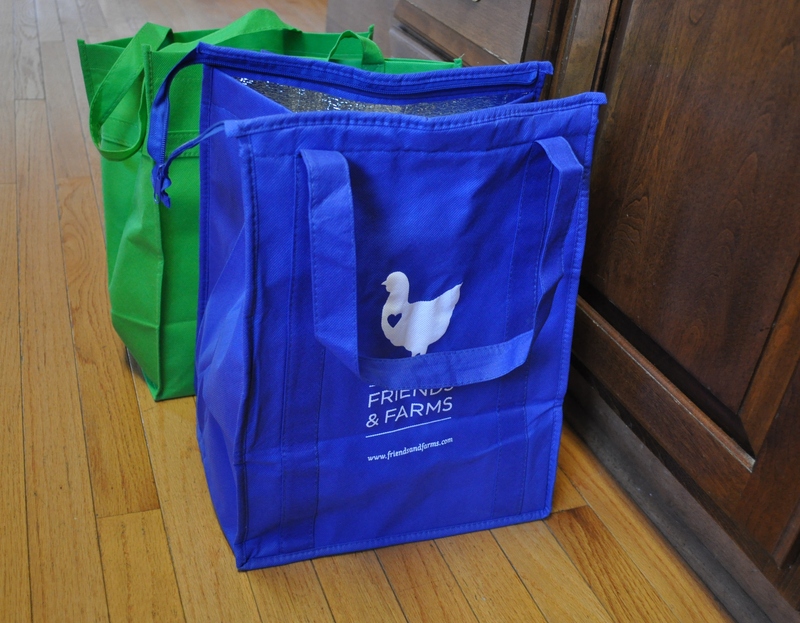 I have tried and liked two other CSAs in the area. But, I love Lancaster Farm Fresh Cooperative, because I love the challenge. The really exotic veggies. Veggies outside that narrow box we used to work in. When life gives you bitter melon, you learn. Celeriac. Chayote. Salsify. 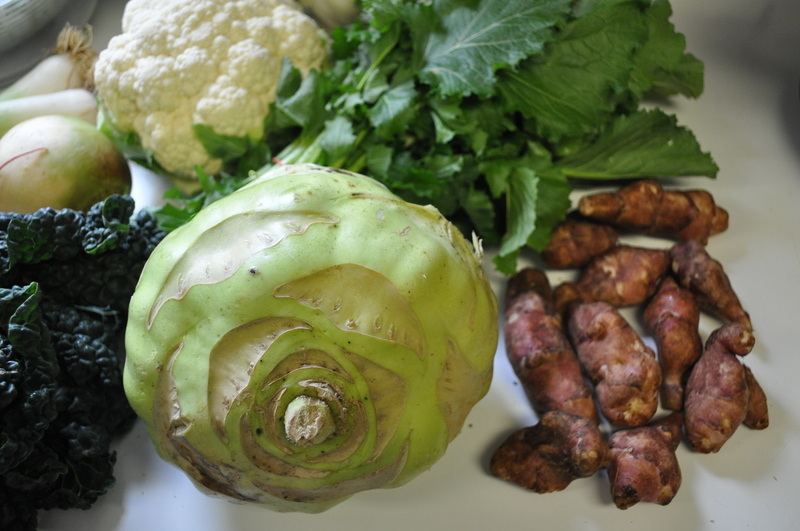 Jerusalem artichokes. Kohlrabi. I stay with them because I like that challenge. This spring and summer I will be doing a bit different mix. A half share from Lancaster Farm Fresh. Plus, an individual basket from Friends and Farms. Because I like their meat, eggs, dairy, bread and staple items mixed in the basket. A rotation of items that works for a couple. Who needs grocery stores if you can get fresh seasonal items from regional farmers, fishermen, butchers, and entrepreneurs. How things have changed for us. Buying from local farms and using these locally based suppliers for the freshest, natural, seasonal foods. Posted in CSA, Farms, Food, Friends and Farms and tagged cooking, CSA, farms, Food. Bookmark the permalink. “Decisions, decisions” describes perfectly my current status regarding the choices for locally sourced food during the spring and fall. The drought here in Nevada and over into California is making it a struggle for CSA options. And, all local food sources. Yikes.